This past weekend the Girls Cross Country team finished their season after making it to the Regional meet for the first time in four years. The girls had a very strong varsity team this year, both winning the Southwestern Conference Championship meet and qualifying at the District meet to run in the Regional meet. 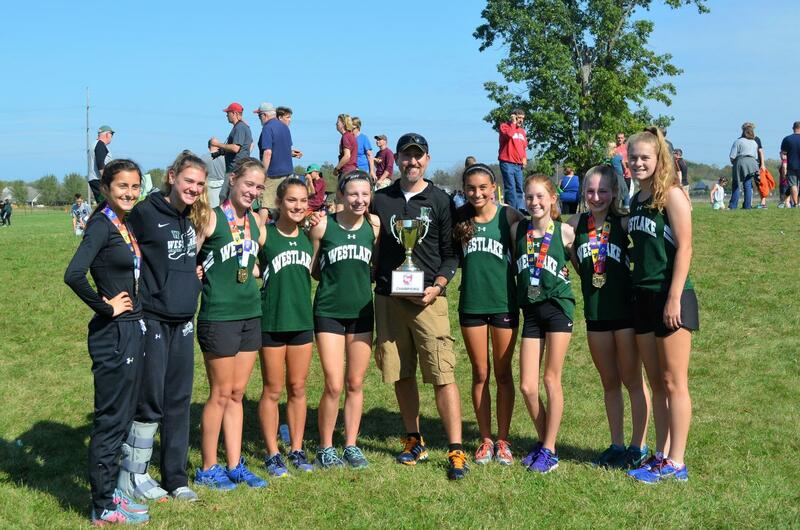 While disappointment surrounds not qualifying for the State meet, Coach Travis Haselswerdt (more commonly known as H by his team) is proud of the work the girls have put in and knows that they are capable of success in coming years. When looking at his team in the future, H’s philosophy is to for the girls to focus on the sport in the moment. H elaborates on this, stating, “I think the key is to not look to the past, not stare at the future, but be in the present, so you can think about tomorrow, even though it’s today. If you can do that, good things will happen.” His lengthy explanation gives good advice to the girls who are already looking forward to next season. H thinks that it’s important for them to take running one step at a time, paying attention to what is and what needs to happen in order for them to be successful in the future. The girls have a chance of being very successful in years to come, as they are retaining most of their varsity team. As the team becomes more seasoned, they will be able to help the new talent from the middle school acclimate to running at a high school level, allowing for future success. Look out for the Westlake Girls Cross Country team in coming years, because wherever they are, success is sure to follow, panting behind.